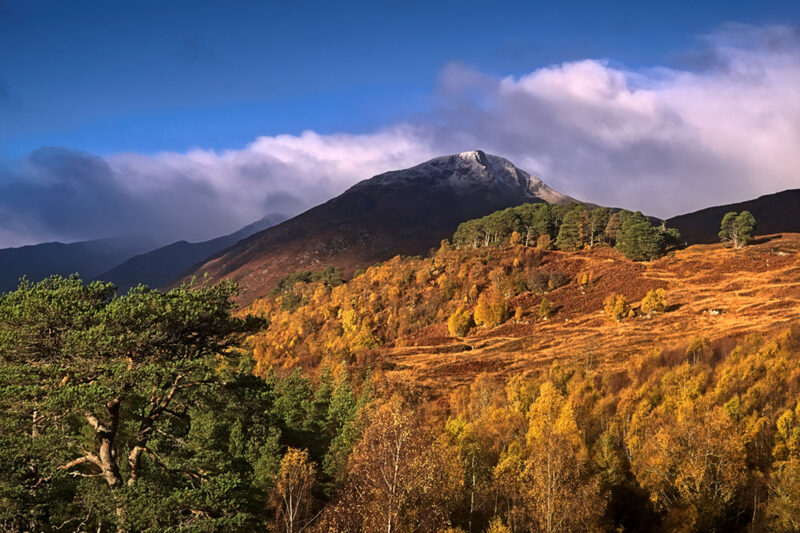 I first visited Glen Affric in September 2006, more or less 10 years ago. Not long after, I discovered the joy of standing at my favourite bench watching the sun rise behind the distant mountains, its light casting shadows of the trees on the mist. Since then I’ve been longing for a second chance at the same scene – and this year, with a bit of good timing, I think I managed it. 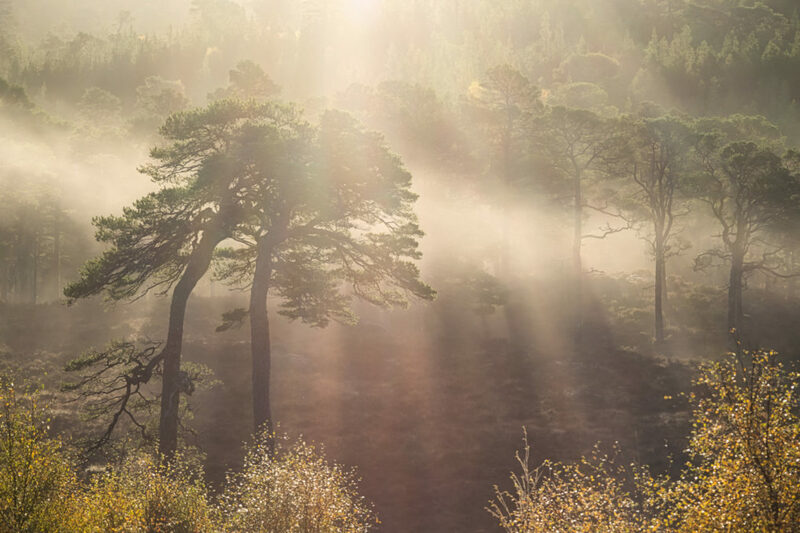 A perfect moment - bright morning sunlight blasting through glorious old Scots Pine trees casting their shadows on the mist. A moment of drama yet ultimately of peace. There had been a light dusting of snow on the peak of Sgurr na Lapaich overnight; this must have been taken early in my visit to the favoured glen, since it melted as I walked. 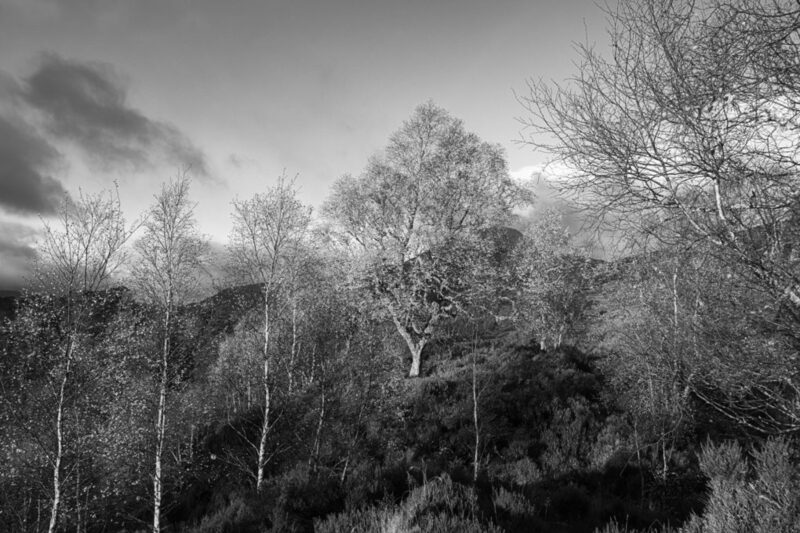 Glorious monring sunlight illuminating a stand of birch trees against a blue sky, Glen Affric. My favourite forest, my favourite trees. 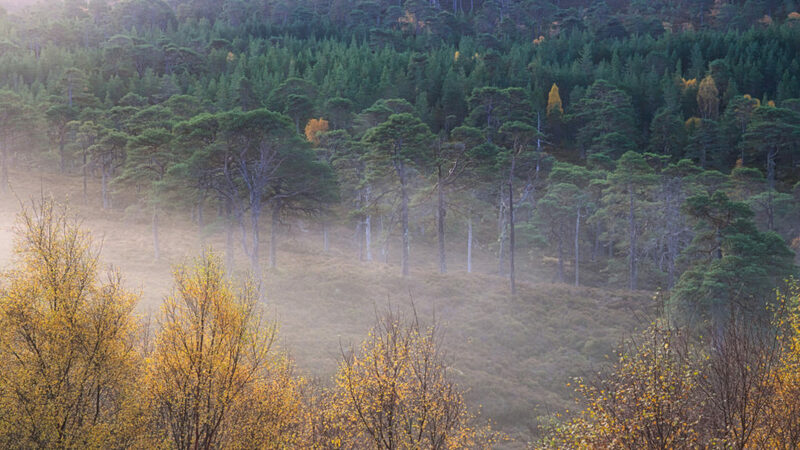 Old Scots Pines in the Caledonian Forest, early on an autumn morning, with a hint of mist and the sun blasting through. Contentment. Idyll. Tranquility. Home, of a sort. For a couple of years there has been an obvious new and ghastly gravel path around the River Walk. 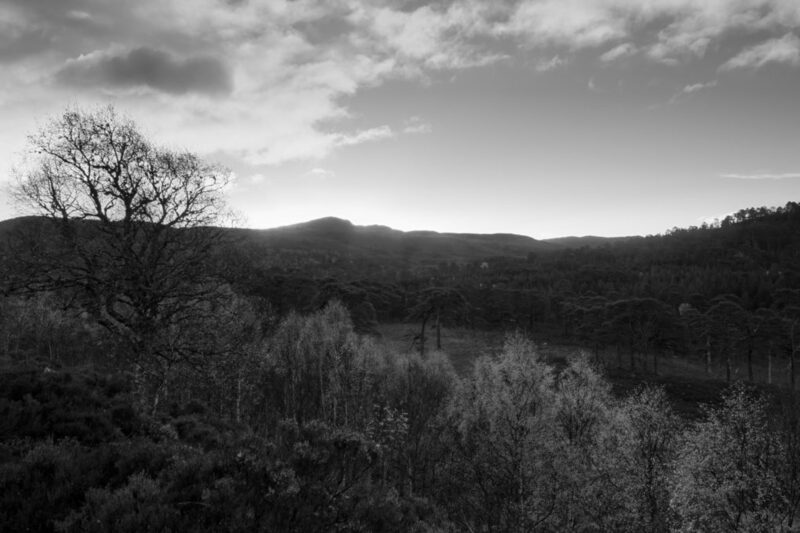 This, however, is the start of the proper, old path that I learned from my first visits to the Glen - rapidly becoming overgrown, as it ought to be. Hiking boots should be required, but heather is a friendly kind of wild. Morning Gold: glorious sunlight illuminating a stand of birch trees against a blue sky, Glen Affric. 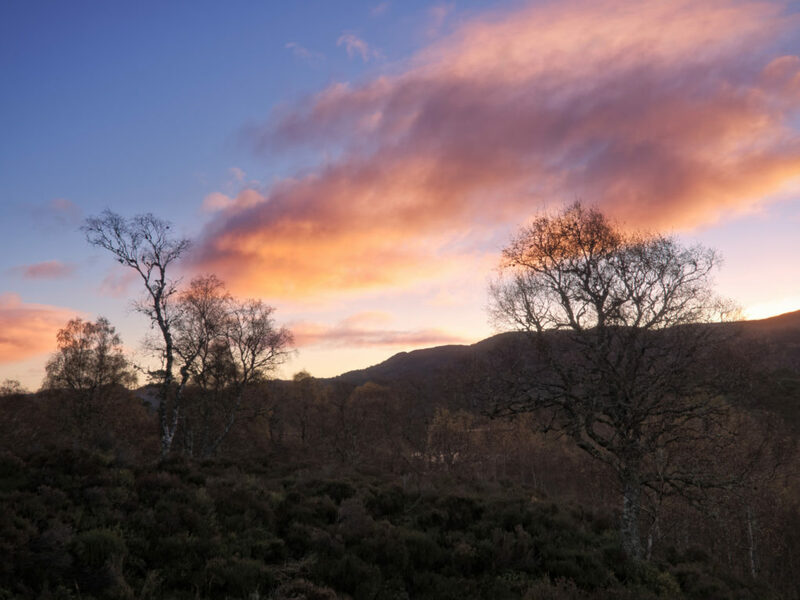 This entry was posted in Glen Affric, Highlands, Landscape, nature, photos, Scotland and tagged autumn, awesome, beautiful, Caledonian Forest, colour, Glen Affric, happiness, highlands, joy, landscape, light, mist, morning, nature, photographs, photos, Scotland, sunlight, trees.